Sales of gold jewellery and coins in October so far have accelerated in the range of 15-25 per cent more than a year before. Indian consumers are making a scramble for gold in the build-up to Diwali on October 23 after a lacklustre festive season last year. Much to the delight of jewellers, Indian consumers are making a scramble for gold in the build-up to Diwali on October 23 after a lacklustre festive season last year. 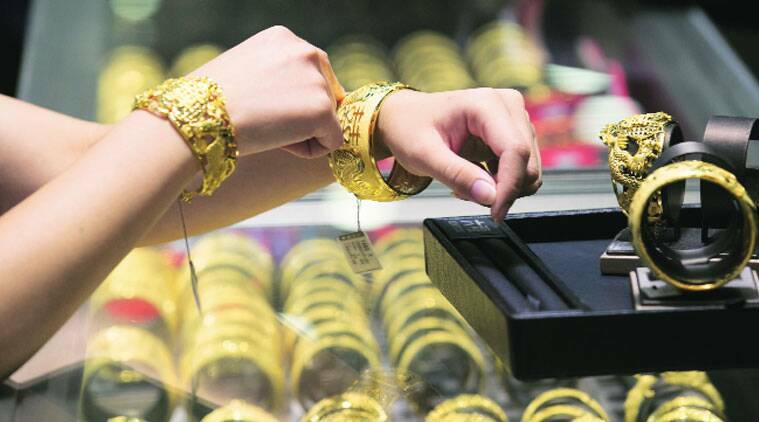 Sales of gold jewellery and coins in October so far have accelerated in the range of 15-25 per cent more than a year before, although it is still early to firm up a precise forecast of demand this Diwali and Dhanteras, considered auspicious for the precious metal purchases. Last year, jewellers were badly hit by a crunch in raw material supplies following imposition of a 10 per cent import duty and the central bank’s 80:20 rule, which mandated that at least one-fifth of imported gold must be reserved for re-exports. Many jewellers in Delhi and Mumbai witnessed up to 40 per cent drop in sales last Diwali. “After months of slowdown, things are finally beginning to look up,” a spokesperson for Tanishq, the country’s largest jewellery chain, said. “All the purchases that people had postponed are finally being made,” he said, adding that lower gold rates in recent days had helped accelerate demand. Gold prices in Delhi dropped over 8 per cent in 2014 so far to Rs 27,370 per ten grams as of October 10, tracking a subdued trend overseas and aiding the sales. As per Mehul Choksi, chairman of Gitanjali Group, jewellery demand is expected to rise this fiscal, but for investment demand to pick up, authorities need to trim the high import duty and also relax the 80:20 rule. Suvankar Sen, executive director at Senco Gold, the largest jeweller in eastern India, said consumers who had deferred purchases in the hope that prices could go down below Rs 25,000 per 10 grams if the new government loosens import restrictions, are back in the market after seeing that authorities are unlikely to intervene. Consequently, with festive demand rising, gold premiums, which had crashed to as low as $1-2 per ounce in July after the Reserve Bank of India allowed more entities to import the precious metal, have now jumped to $12-14 per ounce. To boost sales, while Tanishq last week offered gold coins to consumers for purchases above certain limits, some others are offering up to 25 per cent discount in making charges. Market sources said jewellers are expected to ramp up various discount offers and schemes in the week through Diwali to lure customers.